Feb 1 – St Henry Morse, SJ, (1595-1645) – Priest & Martyr | ADULT CATECHESIS & CHRISTIAN RELIGIOUS LITERACY IN THE ROMAN CATHOLIC TRADITION: hosting ONLY True Christians!! !, or "How to think Catholic!!" Henry Morse, born in Brome, Suffolk, England, in 1595, was raised a Protestant. He enrolled as a law student in London’s Inns of Court. While there, however, he became increasingly dissatisfied with the established religion and more convinced of the truth of the Catholic faith. Crossing the English Channel, he went to Douai, France, which was then an English Catholic center. Once received into the Church, he decided to study for the priesthood, and made his studies first at Douai, then at the English College in Rome, as Douai had too many students. Although ordained in Rome as a secular priest, he secured permission from the Father General of the Jesuits to be admitted to the Society of Jesus once he got back to England. Father Morse had scarcely landed in Britain and been accepted as a Jesuit candidate when he was arrested and imprisoned in York Castle. Upon arrival at a port in England, he was asked by the English port authorities to take the oath of allegiance acknowledging the king’s supremacy in religious matters. The recent convert resolutely refused and was arrested and imprisoned for four years and was released in 1618 when the king decided to get rid of hundreds of religious dissenters by banishing them to France. He was ordained in 1623. He had not yet had time to make the novitiate required of those who aspired to Jesuit vows. 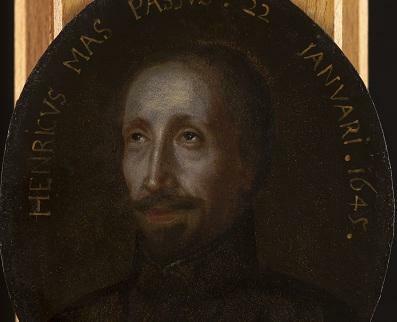 Providentially, however, he found another Jesuit imprisoned in York Castle. This Father Robinson supervised his novitiate in prison! Therefore, when his three-year term was up, he emerged a full-fledged junior member of the Society. Banished to the Continent on his release, Father Morse spent some time as a chaplain to English soldiers who served the King of Spain in the Low Countries. Then in 1633 he returned to England secretly, using the name “Cuthbert Claxton,” and he spent the next four years ministering in London. Now, in 1636-1637 the dread “Black Plague” again became epidemic in London. Morse was kept doubly busy taking care of bodies as well as souls. He made up a list of 400 infected families, Catholic and non-Catholic alike, whom he regularly visited. He himself caught the disease three times, but each time he recovered. His zeal and thoughtfulness were deeply appreciated and nearly 100 families on his list eventually asked to be reconciled to the Catholic Church. Unfortunately, the police also learned about Morse’s activities, and arrested him on February 27, 1636. The charges were that he was a priest and that he had “perverted” several hundred of “His Majesty’s Protestant subjects.” Put on trial, he was acquitted of the second charge but not of the first. However, he was bailed out through the intervention of Charles I’s Catholic wife, Queen Henrietta Maria. Then, in 1641, the king was forced to decree the exile of all Catholic priests. Father Henry, unwilling to embarrass his bail bondsmen, returned to Flanders and resumed his work as chaplain of the English soldiers there. 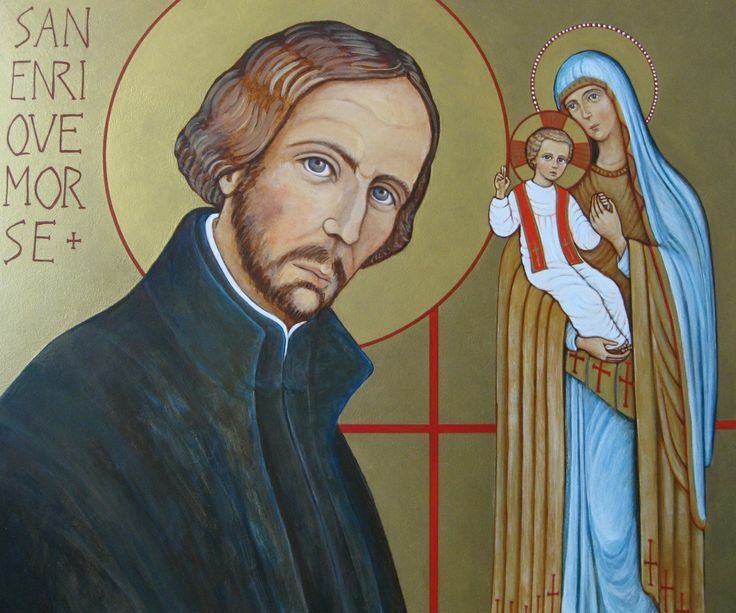 In 1643 Father Morse’s Jesuit superiors sent him back to the mission, this time in northern England, where he was less known. He accidentally walked into a group of soldiers late one night who suspected he was a priest. He was arrested and held overnight in the home of a local official. He escaped with the aid of the Catholic wife of one of his captors. He enjoyed freedom for 6 weeks but one day he and his guide lost their way in the countryside and innocently knocked on the door of a house to ask for directions. The man who answered was one of the soldiers who had recently apprehended him and remembered him well and there would be no fifth escape. Tried once more, he was sentenced to death in accord with the law that forbade exiled priests to return to Britain. He was visited in prison by the ambassadors of other Catholic countries. On the day of his execution, February 1, 1645, Father Morse was able to celebrate Mass. Then four horses were harnessed to the wicker hurdle on which he was dragged to the gallows that stood on Tyburn Hill. As usual, there was a crowd of the curious on hand to see the show. But also in attendance, to pay their respects, were the French ambassador and his suite, the Spanish and Portuguese ambassadors, and the Flemish Count of Egmont. As was customary, the condemned priest was allowed to make some final remarks. “I am come hither to die for my religion……I have a secret which highly concerns His Majesty and Parliament to know. The kingdom of England will never be truly blessed until it returns to the Catholic faith and its subjects are all united in one belief under the Bishop of Rome.” He ended by saying: “I pray that my death may be some kind of atonement for the sins of this kingdom.” Then he said his prayers and asked that the cap be pulled over his eyes; beat his breast 3 times, giving the signal to a priest in the crowd to impart absolution. He then said: “Into your hands, O Lord, I commend my spirit.” After he was dead his body was torn open, his heart removed, his entrails burned and body quartered. In accordance with the custom that followed executions, his head was exposed on London Bridge and his quartered body was mounted on the city’s four gates. Egmont and the French ambassador had their retainers dip handkerchiefs in the martyr’s blood. Later on, these relics were the occasion of cures. St. Henry Morse, pray that we may be as resilient and resolute in our duty to serve the King of the Universe as you were while you were here on earth, and beset by the injustices of your day and age. Pray that our priests will serve Our King as you have done. Pray that we too will serve the King, and our brethren, with such charity, tenacity, and fortitude, as labor in spreading the Good News while we wait in joyful hope for the coming of Our Lord and Savior, Jesus Christ. Amen.